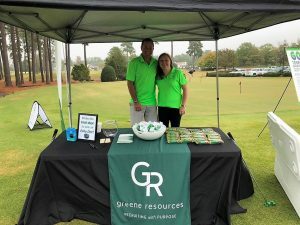 As engaged members of our community and our profession, Greene Resources is involved with numerous professional organizations that pioneer the industry as well as charitable organizations that work to improve our community. Working at Greene Resources provides opportunities to learn more about our community, get involved with industry groups and other business partnerships, and find ways to give back through volunteering. Through these affiliations, we stay up to date on industry trends, develop our team through professional certifications in staffing and human resources, and learn new and innovative ways to involve the Greene Team in giving back. Some of our affiliations include partnerships with the American Staffing Association, The Greater Raleigh and Wilmington Chambers of Commerce, the National Association of Personnel Services, North Carolina Association of Staffing Professionals, North Carolina Technology Association, and The Society for Human Resource Management. When you partner with Greene Resources, you join a company motivated to create positive change through hands-on involvement with the area’s leading community organizations. 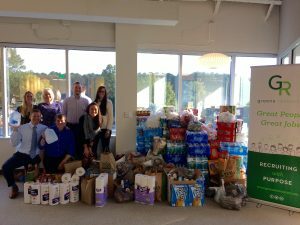 We integrate community service into every facet of our company, from our Greene Gives Back program, which provides paid time off for employees who volunteer, to offering discounted services to nonprofit clientele. When you partner with the Greene Team, you become a part of something more.